Peter G. Peterson, the billionaire financier and philanthropist who combined a spectacular career in industry and Wall Street with public policymaking and dogged advocacy of government fiscal prudence, died on Tuesday March 20 2018 at his home in Manhattan. He was 91. 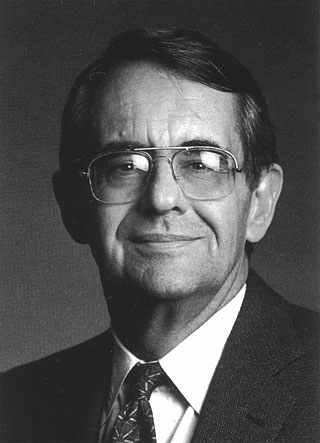 Mr. Peterson began his business career at Market Facts, a Chicago research company. In 1951, he received an M.B.A. from the University of Chicago Booth School of Business before returning to Market Facts as an executive vice president. Mr. Peterson, while still in his 30s, went on to head the Bell & Howell Corporation, a Chicago maker of cameras and audiovisual equipment. There, under Charles H. Percy, later a senator from Illinois, he helped the company regain ground from its arch-competitor, Eastman Kodak. President Richard M. Nixon, who invited him to Washington. There he served as a presidential assistant on international economic affairs before becoming commerce secretary in 1972. He made his biggest mark as the rescuer of the giant investment firm Lehman Brothers, long before it went under in 2008 as the global financial crisis spread.His turnaround efforts resulted in five straight years of record profits and a merger with Kuhn, Loeb. After 11 years, however, a senior rival, Lewis L. Glucksman, with whom he had had a fruitful relationship as co-chairman, suddenly insisted on becoming the sole No. 1. Mr. Peterson decided to leave rather than fight a battle for control. Then, in his late 50s, he launched a new career as a founder, with Stephen A. Schwarzman, of the Blackstone Group, which pioneered a new breed of financial engineer. Blackstone would become a major player on Wall Street and provide the means for Mr. Peterson, the son of a once-penniless immigrant, to earn a fortune. Forbes put his net worth this year at $2 billion. Mr. Peterson and Mr. Schwarzman, a Lehman managing director working on mergers and acquisitions, teamed up to create Blackstone in 1985, starting with nothing more than two assistants, $400,000 of their own capital and two Rolodexes. Mr. Peterson’s business career, particularly on Wall Street, was often overshadowed his intense focus on public policy, he campaigned for decades to restore what he regarded as America’s lost fiscal integrity. He was the founding president of the Concord Coalition and in 1994 was appointed by President Bill Clinton to a seat on the Bipartisan Commission on Entitlement and Tax Reform. In 1980, Mr. Peterson married Joan Ganz Cooney, the founder of the Children’s Television Workshop, producers of “Sesame Street.” She was his third wife and survives him. His first two marriages — to Dorothy Krengel (known as Kris) and Sally Hornbogen — ended in divorce. Besides Ms. Cooney, Mr. Peterson is survived by five children from his second marriage, John, Jim, David, Holly and Michael Peterson; a brother, John; and nine grandchildren.